It's been 4 years since I did this shoot. It resonates with me even more now as I watch as my little girl grow out of playing with dolls into being curious about make-up, from watching Dora to being interested in boys. She still asks to be read a bedtime story and sing her a song. I make sure to tuck her little body in tight, as "snug as a bug in a rug" and at the same time, I see her growing into a young woman. Still so innocent. Yet, on the edge of adulthood. I want to hold her close and never let her grow up. And as she grows up into her body I want her to know she was created good. When Alison, owner of the fashion boutique, The Hideway in International Falls, MN approached me with the opportunity to do an off-beat editorial style shoot with her dancing daughter, Ameilia, I was enthralled. 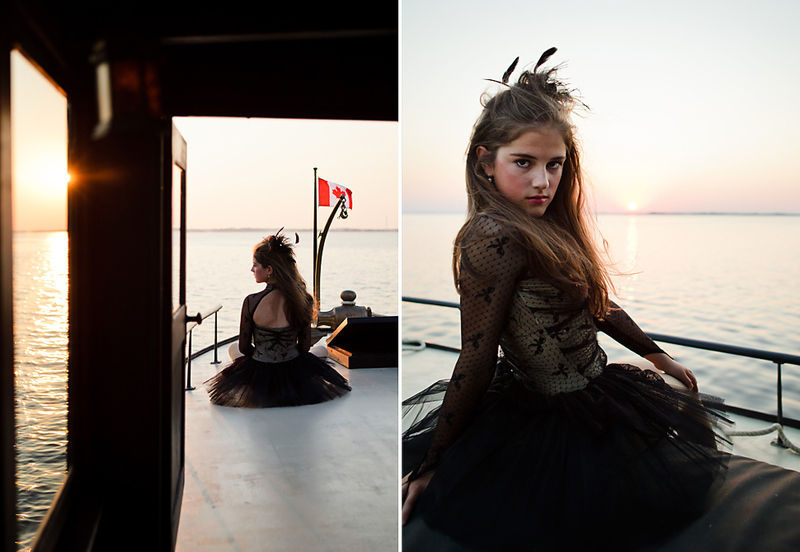 We borrowed Virginia, a historic boat, dressed our "black swan" in her black dance uniform and set off into the sunset on Rainy Lake. If The Virginia could speak she might whisper about the dark secrets she carries. 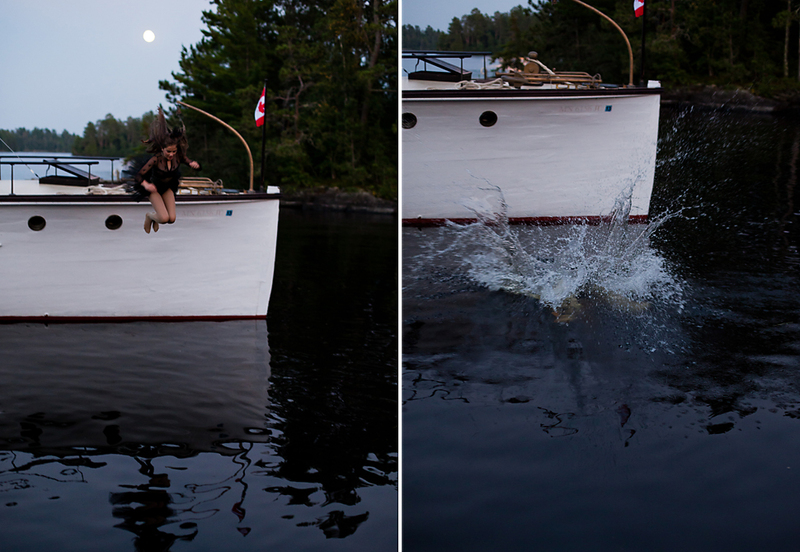 The graceful 85-year-old wooden boat makes her home on Rainy Lake near Minnesota's Voyageurs National Park. The boat was originally built for a man named Major Roberts who named the boat Virginia, after his stunning and intelligent daughter. She has sunk twice for her previous owners, and rumored to have been used in the Prohibition to transport illicit alcohol from Canada into the United States. Jim Hanson, our gracious captain, restored the Virginia and is lucky to be her owner. This is the story of a girl leaving behind her childhood. Looking forward to her future. And with grace. And confidence. As all little girls should do!